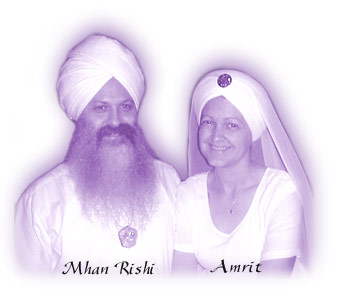 Mhan Rishi Singh Khalsa and Amrit Kaur Khalsa serve as Co-Directors of Divine Yoga, are KRI Certified Kundalini Yoga Instructors and Licensed Teacher Trainers. 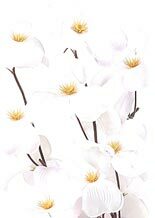 They are members of the International Kundalini Yoga Teachers Association, 3HO (the largest accredited Yoga Teachers Organization in the world), Texas Yoga Association and Yoga Alliance. Mhan Rishi and Amrit both have ERYT status (Experienced Registered Yoga Teacher), the highest status offered through Yoga Alliance. Between them, they have over 50 years of experience instructing students in the art and science of Kundalini Yoga. Their wisdom, experience, humor and practical, interactive approach maximizes each participant’s experience. 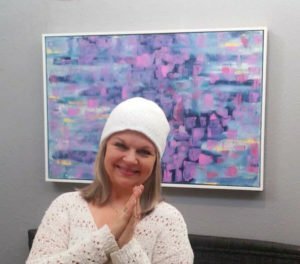 Amrit Kaur Khalsa, a native San Antonian, has been teaching, serving and helping people heal on all levels through the healing technology of Kundalini Yoga since 1994. 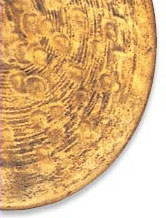 Her spiritual name, Amrit Kaur, given to her by her teacher, Yogi Bhajan, means “princess/lioness of bliss”. She is a graduate of the Master’s Touch certification program with Yogi Bhajan, Master of Kundalini Yoga. She is KRI certified and licensed, a member of IKYTA (International Kundalini Yoga Association) and registered with Yoga Alliance with ERYT-500 status (Experienced Registered Yoga Teacher), the highest status offered through Yoga Alliance. Along with her husband, Mhan Rishi, Amrit is Co-Founder, Co-Director and owner of Divine Yoga, the first free-standing Kundalini Yoga studio built from the ground up, in San Antonio. Amrit made several memorable yatras (spiritual journeys) to India with Yogi Bhajan including the Golden Temple and Anandphur Sahib. Amrit’s first love is her sadhana (daily Kundalini Yoga and meditation practice). Her hobbies and things she enjoys include art, cooking, organic gardening, movies, good food, good company, sunshine and kitties. She especially enjoys sharing her knowledge and experience of over 20 years walking the path of Kundalini Yoga as taught by Yogi Bhajan. Amrit’s classes are: Tuesday 10am, Thursday 10am & 6pm, Friday, 6pm, Saturday 10:30am & 12pm, & Sunday 10:30am. Visit the class descriptions page for more details. Mhan Rishi Singh Khalsa, born in southern Indiana, is Co-Founder and Co-Director of Divine Yoga with Amrit. He embraced the path of Kundalini Yoga in 1976. Like other advanced students of Yogi Bhajan of that time, he moved to an ashram. Mhan Rishi’s teacher, Yogi Bhajan personally gave him the spiritual name of Mhan Rishi which translated means “Great Sage”. Mhan Rishi lived in the Guru Ram Das Ashram on Magnolia Street in San Antonio and taught Kundalini Yoga there for about 7 years. He also helped establish and manage the ashram up through it’s move to McKinley Street until 1981. He is KRI certified, licensed, member of IKYTA and registered with Yoga Alliance. Mhan Rishi has taught yoga classes and workshops nationally in Chicago, The University of Wisconsin, Texas and the Midwest. 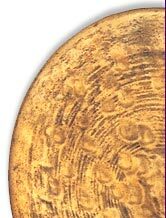 Mhan Rishi has been on numerous yatras to India with Yogi Bhajan including the Golden Temple, the River Ravi and other sacred places. He has many interests, loves physics, research, art, cooking, music, green building, photography, books and travel. Mhan Rishi brings a special warmth and kindness to everything he does. His wealth of experience from ashram life and 37 years of walking on the path of Kundalini Yoga makes each class he teaches unique. Students will benefit greatly from the knowledge, depth, insight, compassion and wisdom Mhan Rishi brings to each and every class. Mhan Rishi teaches monthly workshops. Current workshop is listed on Workshops & Events page. Angela Harper is KRI Certified and has been teaching Kundalini Yoga since 2003. Angela brings an energetic, positive energy to each of her classes. Angela loves helping people, is an animal and nature lover and enjoys camping and canoeing. Angela teaches Mondays at 6:15pm. Visit the class descriptions page for more details. Sat Bachan Kaur (Jules Harmon) is KRI certified and RYT-200 teacher. 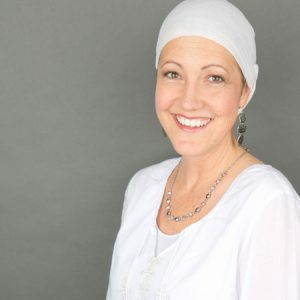 Her spiritual name translates to…”A fearless Soul whose word is absolute truth.” First introduced to Kundalini Yoga in 2008 while serving on active duty in the US Air Force, the science and technology of Kundalini Yoga was her bridge from stress to resiliency; and she’s been teaching weekly through Divine Yoga since 2010! Jules has attained trauma aware and sensitive yoga certifications through YogaFit© for Warriors as taught by Beth Shaw, the Veterans Yoga Project as taught by Dan Libbey, and the 7 Elements of Trauma Healing with the Grace Tree Foundation© as taught by Viana Mora. She has experience and training in the energetic healing therapies of Reike, the Emotional Freedom Technique, Sat Nam Rasayan, the Alexander Technique, and Aromatherapy. She is currently serving her US military Veteran peers and transitioning service members as a Health Coach with the South Texas Veterans Health Care System! Jules teaches on Saturdays at 6pm; holding a fun, safe and supportive space for you to experience your Yoga! Visit the class descriptions page for more details. Adeshpal Kaur (Jamie Carmody) is KRI certified. The name Adeshpal Kaur means “the Princess/Lioness whose divine essence of harmony is her anchor and protection in life”. Born and raised in San Antonio, Adeshpal, after graduating from UT Austin, traveled and lived in Europe for several years before returning to Texas to study massage and bodywork. Now, 20 years later, she’s a Zero Balancing practitioner and instructor, and massage therapist. Her interest in the physical and the energetic, and their relationship and alignment within the human body has brought her more fully to Kundalini Yoga. She strives to bring a strong, positive vibration to her classes as well as to her life and relationships. When not working, you’ll find her carting kids around, walking in Brackenridge Park, or just hanging out with the cat on the front steps. Jamie teaches on Mondays and Wednesdays at 12 noon. Visit the class descriptions page for more details. Ram Krishan Kaur (Melanie Harwood) is KRI certified. Her spiritual name means “the one whose universal essence goes beyond time and space and transcends any darkness to God’s Light.” Ram Krishan had never heard of Kundalini Yoga when she ended up in a class at the studio almost by chance, but she immediately felt connected to the practice and knew she needed to come back and often. Her favorite part of the practice is mantra and meditation, and she looks to incorporate these aspects regularly in class. Ram Krishan strives for endless positivity in and out of the studio. 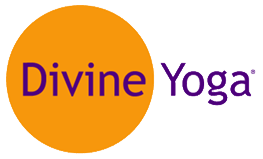 When she’s not teaching, she is planning advertising budgets and media campaigns at her marketing job or she is in her favorite place — at Divine Yoga on her mat in another wonderful teacher’s class. Ram Krishan teaches Wednesdays at 6:00pm and 7:30pm. Visit the class descriptions page for more details. Indrajeet (Susie Reeves) is KRI certified. Yoga wasn’t even on Susie’s radar when she took her first class at Divine Yoga in November of 2014. Her husband joined her one day later, and Kundalini Yoga is now an integral part of their lives. Susie obtained her 200-hour training at Yoga Yoga in Austin. When not on her mat, Susie loves cooking for family and friends, theater, and bike riding. Susie teaches at 6pm & 7:15pm Tuesday evenings. Visit the class descriptions page for more details.